Take a look at the only man who convinced me to eat a raw oyster since my grandfather did 50 years ago. And with Granddaddy, it was like a test. If he pulled a fresh oyster out of the Patuxent River and opened it with his knife and said, “Now … there you go. Try this. Delicious” … and you said “Yuk! No way.” Well, you might as well have been dead to him. So we kids (the girls anyway) suffered through the ritual, downing those slimy little clumps of Bay bounty so as not to disappoint a man who was larger than life to all of us. But Johnny Shockley, pictured above convinced me to give raw oysters a try – much like Granddaddy did. He’s so enthusiastic about it. Johnny and his partners own Hooper Island Oyster Aquaculture Company and produce a cocktail sized oyster that is naturally salty and delicious. The best oysters, cooked or raw taste salty. The ones harvested near the mouth of the Chesapeake Bay are naturally salty because of the high salinity of the water – being near the Ocean. But the Bay is a long estuary fed by fresh water so in the upper regions – where the Patuxent and the Choptank Rivers branch off, the water is brackish and less salty – meaning the oysters have less of a salty taste. Some oyster growers in the Upper Bay region will pull their oysters out of the water early and move them to the coastal bays for a few week to allow the salt to settle in. The old saying “Eat oysters only in a month that has the letter R in it” – meaning, avoid the summer months – May through August. This saying came about in times before refrigeration was available. Oysters spoiled in the heat. Now with refrigerated trucks, houses, restaurants and storage facilities, it’s no longer a concern. Eat oysters year round, if you want. 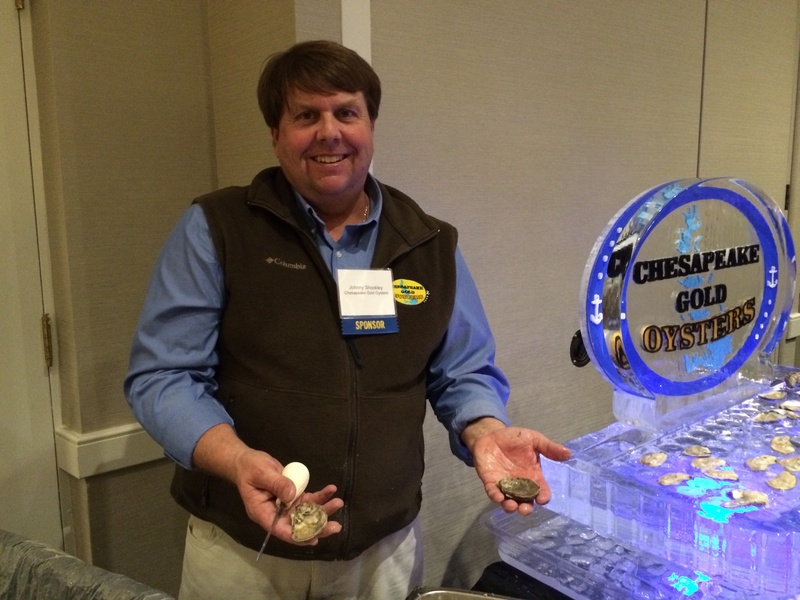 Nothing says cultural food of the Chesapeake Region like oysters and crabs. There are many ways to fix oysters – raw, steamed, in stew, fried and baked in casseroles. Fried oysters are quick, easy and delicious. Here’s a standard recipe for fried oysters that I pulled from the Edward Nabb Research Center’s Folklore Collection. It was given by Ms. Kathy Bozman of Delmar, MD in November of 1977. Drain oysters of all liquid. Mix eggs, milk and seasonings ina pan. In another pan, mix bread crumbs and flour into a well mixed covering. Place oysters in egg mixture. Then place them into bread crumb covering. Heat oil in skillet at a medium heat. Place oyster in the pan and cook on both sides until brown. Serve hot. Makes 6 servings.